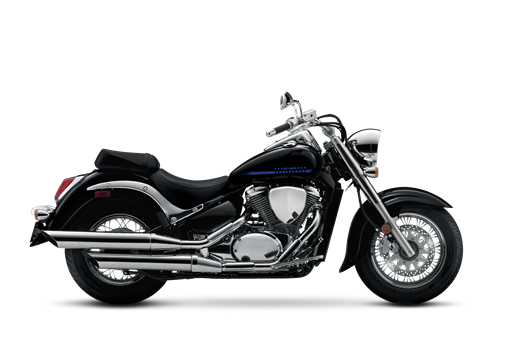 New-generation styling incorporates visual cues from American cruiser heritage: rich paintwork, glittering chrome, and deep front and rear fenders with rounded ends. 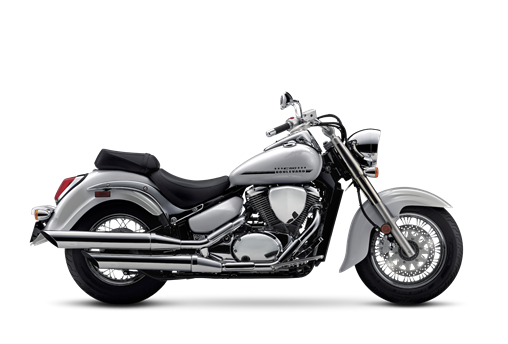 A wide 15-inch rear tire and matching 16-inch front tire are mounted to bright, spoke-style wheels for a classic cruiser look. The wide, deeply cushioned has a low 27.6-inch seat height that’s ideal for comfortable cruising and confident stops. Wide passenger seat makes for comfortable two-up rides. Its stepped location on the rear fender allows passengers to see over the rider’s shoulder.